31/03/2019: We really enjoyed today's dinner. 20/03/2019: As I work away from home on business I eat out nightly. 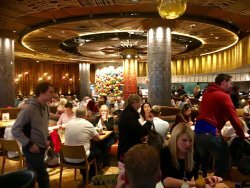 My restaurant of choice in Bradford is Nando’s Leisure Exchange. I generally order online and collect as I stay at a hotel nearby, the staff know my name and I can’t compliment their service any higher, every member of staff and management are a credit to the business. Having visited 100 times over the past 8 months I have always had excellent service and great food. Even on the day I had to have a delivery to work the driver came with a personal message from the restaurant that they missed me visiting. 11/04/2019: Visited with friends and the portion sizes were a lot smaller than our last visit. 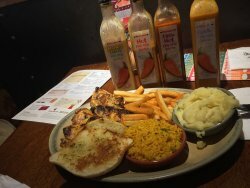 05/04/2019: Visited for my nephews birthday on 1st April, not my kind of thing, I don’t like chicken so didn’t eat much but my family who I visited with really enjoyed their meals, my daughter has fallen in love with the garlic bread. Bit expensive but I suppose you expect it from a place like this. Restaurant very clean and tidy. Staff were very welcoming and friendly. 06/04/2019: Poor service. Rushed Service. Our family of four all fell ill the same evening as a result of our "rush cooked" meals. Tried contacting Nandos via website. Contact us "submit" option is not working, Hence turning to tripadvisor. 26/01/2019: Called in tonight before going to the cinema and what a change ... extended and re-vamped , it was good before but it's just got better. 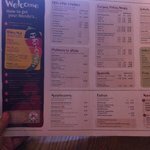 11/04/2019: absolutely love it here, my favourite place to go for a quick treat, great service, prices & quality of food. Lovely young server Chloe i think, was really friendly. 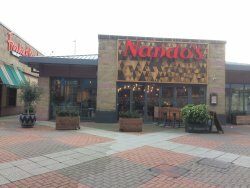 31/03/2019: Been to many different Nandos, many places, many times, including this one. Nandos is, in general overrated. 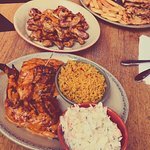 People rave about 'cheeky Nandos', which is ridiculous....chicken and chips is what it is. I'm so indifferent to it I wouldn't even usually bother to write a review, good or bad. 18/02/2019: This restaurant was below the standard of other Nando's. 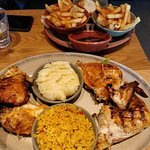 09/02/2019: Just been to the wakefield nandos with my partner and it was bang on. Staff are super friendly and the food is served really quick and has been like that every time we have been. 04/01/2019: Took kids for treat at end of school hols. Great food and service. Toilet door lock still broken, has been for two years now. Quite a record!